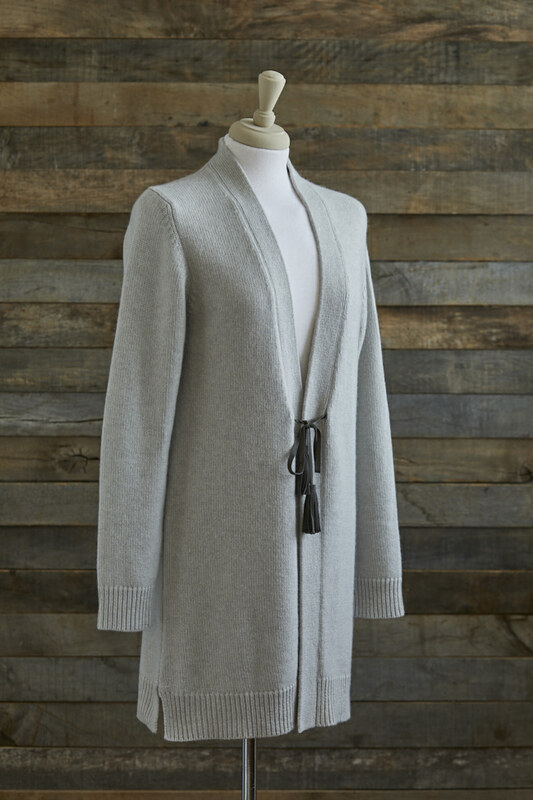 For a multi-taking heavy, long 4 ply cashmere cardigan, this is the answer. 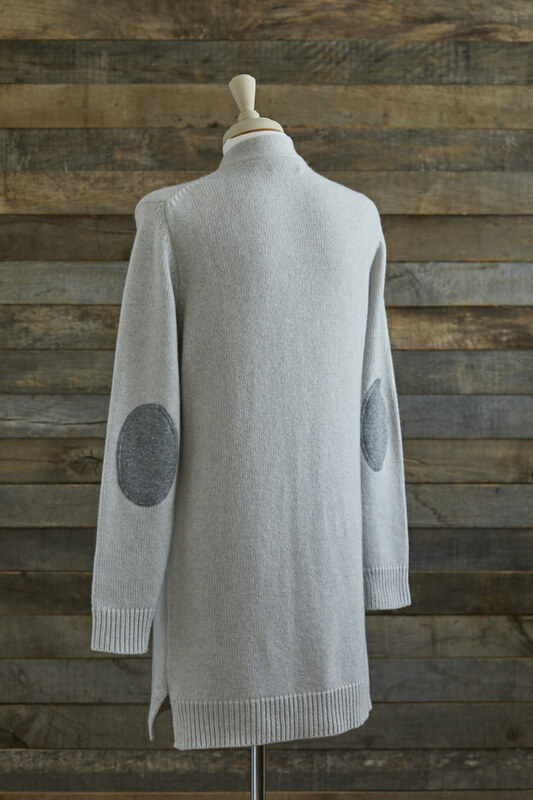 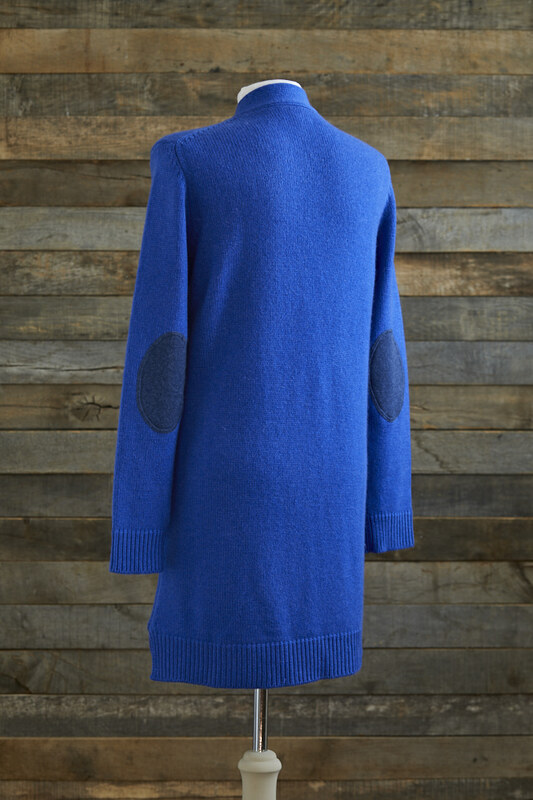 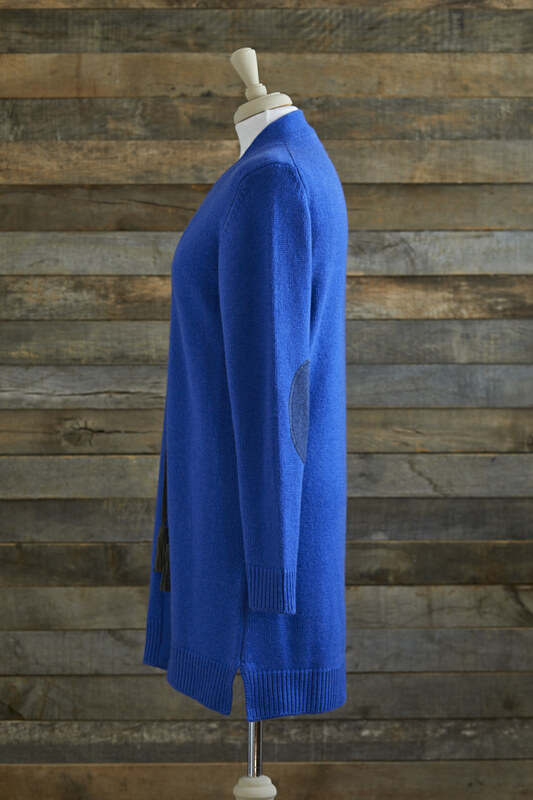 Gently shaped through the body with generous sleeves, it can be worn over a simple t-shirt or layered over a jumper. 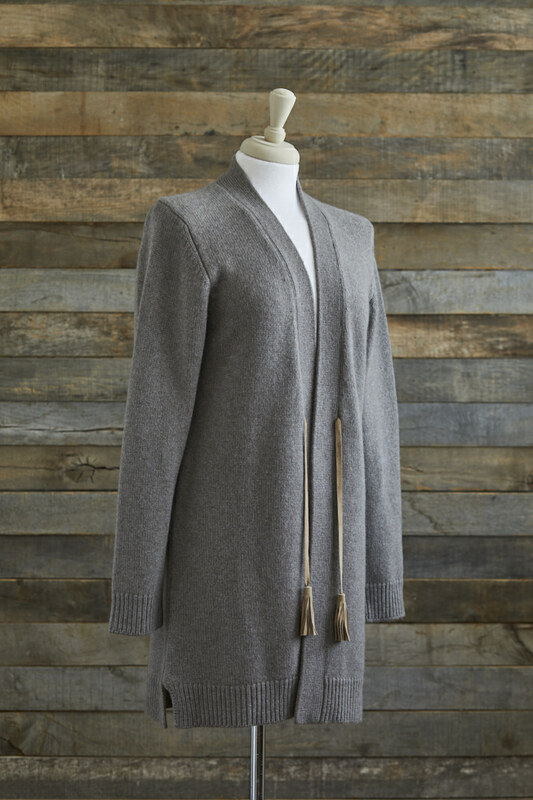 Butter-soft goat suede tassel ties (removeable) fasten the deep needle-rib edges just above the natural waist. 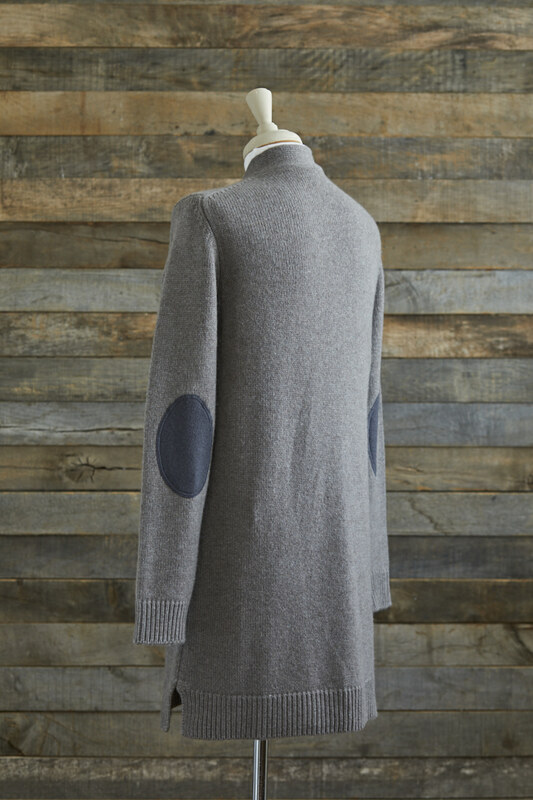 With the elbow patches and the suede ties there is subtle styling to our cardigan so it can be pull on over any outfit.